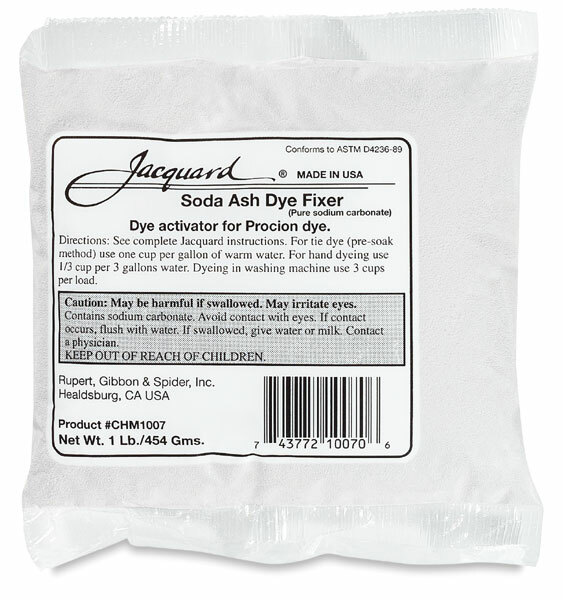 These supplies are specially formulated to obtain the best results with Jacquard Procion MX Fiber Reactive Dyes. 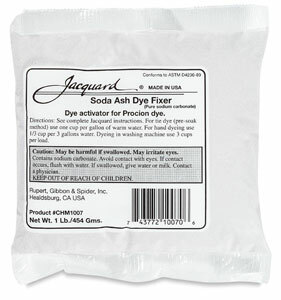 Soda Ash is a mild alkali dye fixer necessary for activating and setting Jacquard Procion MX Fiber Reactive Dyes. It can be used as a pre-soak before dyeing, mixed directly with dye for immersion dyeing, or added to the dyebath in the washing machine. It can also be used with Synthrapol to remove sizings, oils, and waxes when prewashing.